Hi, I´m Neiva Mara, and I invite you to connect like never before, in a much more personal and funny way. Want to join? Hundreds of photos and videos every month with my most special and interesting moments. Sharing my best exclusive stories! We will have lots of fun! Only for my best fans! I´m back in Instagram, I will follow showing my body transformation in my new account @soyneiva – in a funny and naughty way. If you don’t follow me yet, I invite you to join and we will enjoy this new adventure together. 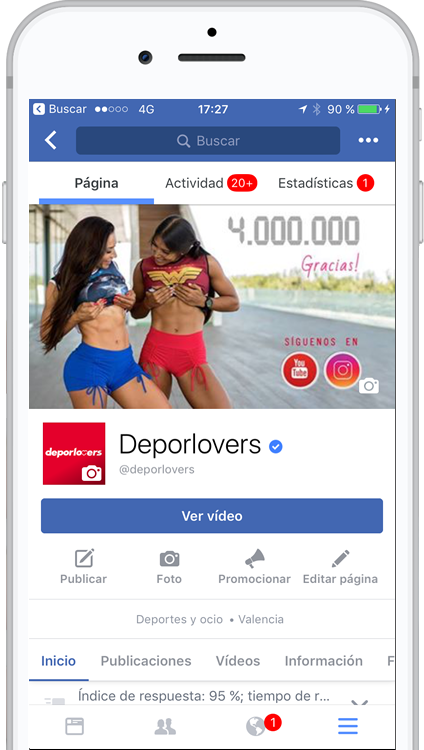 3 years ago I launched my own workouts channel Deporlovers, with more than 4 million followers today and hundreds of workout videos. If you want to change your body, you should follow us ! Disclaimer: I understand that www.neivamara.tv is a separate company from snapchat and any other social media accounts.